Welcome to our new shopping column, Add to Cart, where each week, I'll be showcasing my favorite must-have products found within our new app, SHOP/Who What Wear. If you're anything like me, your Fourth of July weekend uniform will consist of cool bathing suits, breezy tops, and, of course, jean shorts. 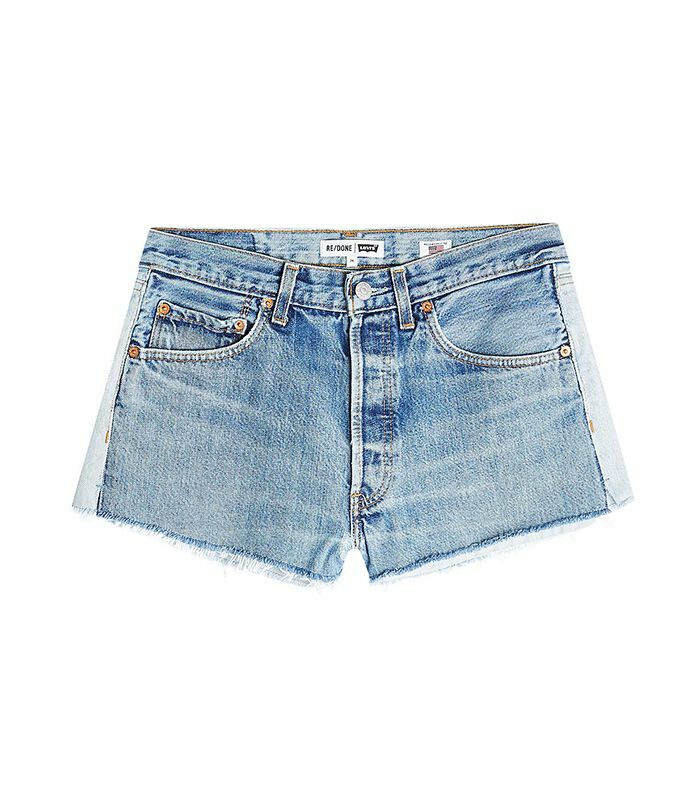 Trust me, I know that finding the perfect pair of denim shorts can be as difficult finding an actual pair of jeans, but thanks to the carefully curated selection on the SHOP/Who What Wear app, it doesn't have to be. While perusing the app (which I do way too frequently), I came across one of the editor-curated collections titled "Jean Shorts for Every Body Type," and I couldn't help but click in. I was pleasantly surprised with what I found as I scrolled through the most stylish selection with an expansive size range of jean shorts at all different lengths, washes, and shapes. If you've been struggling to find the ideal length for your frame, cut for your leg shape, or rise for your waistline, I highly suggest you take a look at this shopping section of the app. Here, I have rounded up my favorite jean shorts from the collection for you to shop, but I promise you, there are a lot more where these came from. Go on to shop jean shorts for every body type in the SHOP/Who What Wear app, and be sure to download the app for inspiring fashion right at your fingertips. This two-tone pair is a must-have in my book. This is definitely the cool-girl denim brand to know this year. Copying this exact look ASAP. See? Boyfriend shorts don't have to be frumpy. Another two-tone pair bites the dust. Sometimes, a lengthier short is a good idea. You'll wear these from the beach to a lunch date with ease. Another look we need to re-create as soon as possible. Want more? Be sure to download the SHOP/Who What Wear app for even more incredible products.